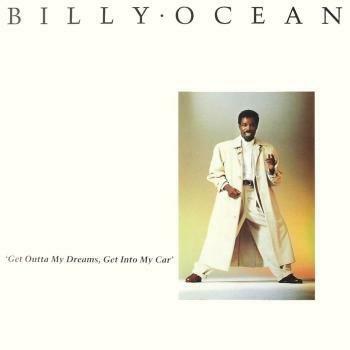 BILLY OCEAN "GET OUTTA MY DREAMS, GET INTO MY CAR"
The sign of a song with an infectious hook is when its title matches the chorus perfectly, and it certainly does with this unforgettable tune from the 80s. Released in January 1988, the track peaked at #3 in the UK on 21st Feb - a week in which Kylie Minogue topped the chart with her bubblegum pop hit I Should Be So Lucky - and in the U.S., the song topped the Billboard Hot 100. The video was novel at the time as it featured a mix of animation and live sequences, with Mr. Ocean himself driving a car. At the start we see Billy shout over to an attractive young lady working at a car wash, asking her to get into his car - it's all very literal! She does, eventually, climb into his car about two minutes into the video, although not before a lot of flirting and dancing around has taken place, and Billy has driven through the car wash - forget about washing your car, Billy, there's a young lady waiting for a ride! 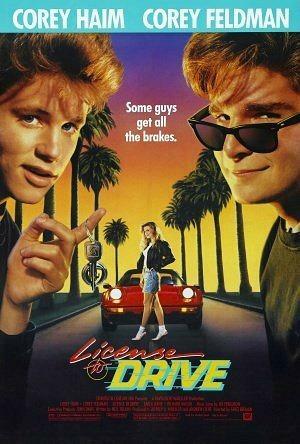 The song featured on the soundtrack to the 1988 teen adventure movie License To Drive which starred Corey Haim and Corey Feldman. It's a film I've never actually seen and it kind of passed me by in the 80s. Other well-known artists performing on the soundtrack were Belinda Carlisle, Pebbles and DJ Jazzy Jeff & The Fresh Prince. "Get Outta My Dreams..." was covered by Fenix TX for the soundtrack to the EA Sports racing sim game NASCAR Thunder 2003.